Opiliones (harvestmen) is the order of arachnids that is characterized by having a body that appears to be a single segment and having generally very long legs. There are 6,491 known species worldwide, though the actual number of living species is thought to be close to 10,000. 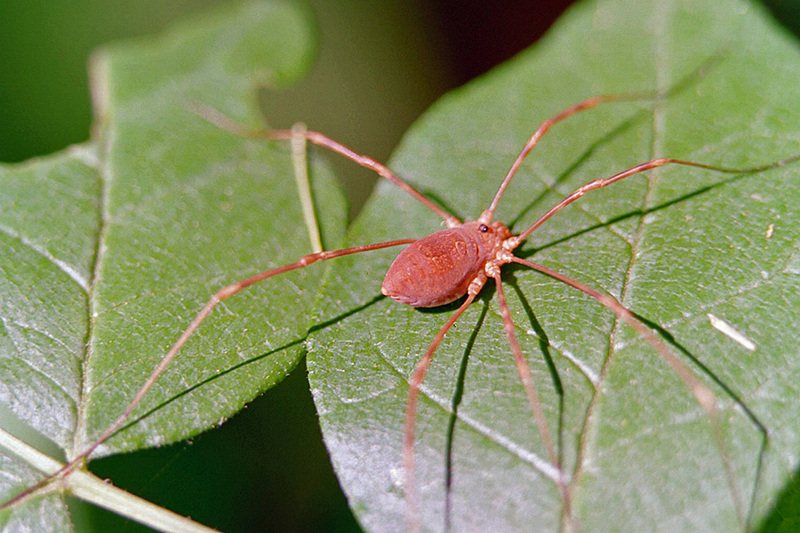 The common name “daddy long legs” is commonly used for all harvestmen. However, that name is also often applied to crane flies and cellar spiders. The common names “brown daddy long legs” and “eastern daddy long legs” have sometimes been used to describe single species or an entire genus. However, their use has not been consistent and the names are not widely accepted. In short, harvestmen species do not have individual common names. Each species can be referred to by the common name of a higher taxonomic classification. In this case, the order Opiones has the common name “harvestman”, and that common name will be applied to all species listed here. Virtually all of the harvestmen seen are “wanderers” of the suborder Eupnoi. 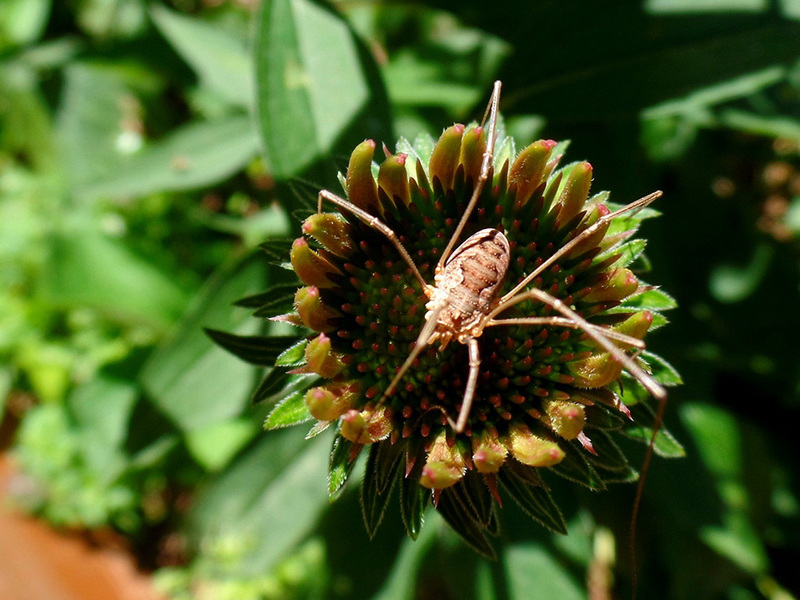 The most widespread species of harvestman in the world is Phalangium opilio. It is the most common species found in disturbed habitats in Europe, Asia, and North America. In the eastern United States, the genus Leiobunum is both abundant and conspicuous. Identification of Leiobunum harvestmen to the species level is to a large part based on microscopic features. Species determination is difficult or impossible either in the field or by looking at photographs. If you do not see a linked page for a harvestman in the list at left you can still upload a photo or video as an email attachment or report a sighting for that harvestman. Click on one of the buttons below and type in the common name and/or scientific name of the harvestman in your photo, video, or sighting. A new page will be created for that harvestman featuring your contribution.